Nose: Lifted bacon fat, mallee roasted rib eye, tobacco, violets, sweet liquorice, dark chocolate, creamy berries, black cardamom, charcuterie and black currant notes continue to evolve in the glass. Palate: Layered and densely compacted. The multitude of character is predominantly tucked away, laying in wait for tomorrows extension in the cellar. Very finely polished and almost oily like in its viscosity. There isn’t a hard edge to be seen, just a very slightly velvety texture on the finish. youthful, though slightly muted notes of freshly crushed black currants and black plums over hints of black pepper, star anise, cloves and sage. Full and taut in the mouth, it has a firm structure of grainy tannins and lively acid with a long, anise-laced finish. Drink this one 2014 to 2023+. 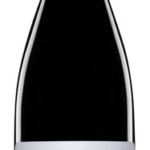 Pepper, star anise and Asian five spice, blueberries and blackberries, hints of cured meat and black olive suggest the 2015 Onkaparinga Syrah will be special, and that’s borne out on the palate. It’s full-bodied, creamy-textured and plush, with ample concentration yet an approachability lacking in some earlier vintages. Just terrific stuff. REGION: Clarendon, McLaren Vale: 10 kms N/E of McLaren Vale and 250 metres higher above sea level. We pick 2-3 weeks later than McLaren Vale and enjoy longer, milder, more consistent ripening conditions. CONDITIONS: Favourable 2009 winter rains were shadowed by bright sunny conditions in Spring. 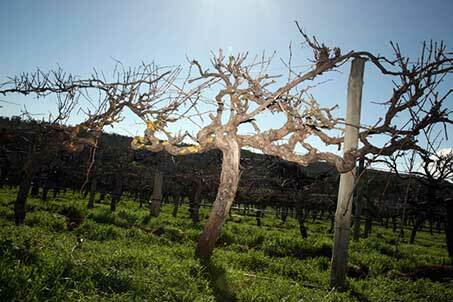 The healthy environment encouraged the vines to respond in retaliation to the prior vintages’ lowered crop levels. The vines shot fruit that looked healthy and was in abundance from day one. The consistent mild growing season saw fruit ripen earnestly. An unusual early veraison paved the way for continued steady development. Bunch thinning was was looking a certainty but the vines pulled the fruit in to line and all fruit was evenly ripened and looked outstanding. WINEMAKING: Low yielding, dry grown 82 y/o vines are hand picked thereby culturing whole berry, wild yeast fermentation. This increases the retention of the grape’s varietal essence and minimises bitter tannin extract. All pressings are returned to the barrel and bottled onsite without fining or filtration. MATURATION: 18 months, 85% brand new, tight-grained French Oak. Barrels are finally hand selected by winemaking team. 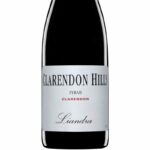 Part of Clarendon Hills’ ‘Grand Cru’ classification. Planted in 1928 with syrah and grenache, this vineyard located in the most highly elevated regions of Blewitt Springs. Onkaparinga is an indigenous/aboriginal term for the local region. The Syrah patch faces west and edges a gorge that has a 75 metre sheer cliff face.